Let’s take a look at who President Trump appointed Surgeon General and who he will probably appoint CDC director. The Surgeon General of the United States is the operational head of the U.S. Public Health Service Commissioned Corps (PHSCC), and becomes the leading spokesperson on matters of public health in the country. They are public advocates for many healthcare matters, including obesity, smoking, and other issues. Donald Trump appointed Dr. Jerome M Adams, Indiana’s Health Commissioner, to be the new Surgeon General of the United States. He was appointed to his position by Mike Pence, then governor of Indiana and the current Vice President. Using the template above of 4 things we look for in a new Surgeon General, let’s see how Dr. Adams fits. Dr. Adams has a very respectable background in medicine and public health. He is an anesthesiologist and has a Master’s of Public Health from the University of California-Berkely. Along with working for public health at the state level, he has reasonable credentials that one would expect for the Surgeon General. Dr. Adams is a strong advocate for vaccines. I have found several statements issued by him as Indiana’s Health Commissioner that appears to be solidly pro-vaccine. For example, he pushed to have hepatitis A and meningitis vaccines be given to children before entering kindergarten. Who else can hear the anti-vaccine activists whining that Trump’s promise to review vaccines is not being supported in deed. Dr. Jerome Adams getting his flu vaccination. As far as I can tell, Dr. Adams does not belong to the crackpots at AAPS, which is a good thing. In fact, Dr. Adams has chaired important committees for the American Medical Association, about as mainstream as it gets for medicine. Again, as far as we can tell, Dr. Adams does not espouse any anti-science ideas. He understands how HIV spreads, and has pushed the conservative state of Indiana to support needle exchanges to reduce the spread of infectious diseases. It’s hard to prove a negative in science, but I could find nothing in Dr. Adams’ background which would indicate he supported some science denial position. As Republican appointees go, Dr. Adams is a respectable, intelligent, pro-science choice. In fact, he was a strong supporter of Obamacare, but it’s clear he won’t be commenting on that in his new position. In this case, the Trump appointed Surgeon General wasn’t a bad choice. At least, as far as we know. The Centers for Disease Control and Prevention (CDC) is the leading national public health institute of the United States. In fact, it would not be an exaggeration to claim that the CDC is the most respected public health and infectious disease organization in the world. The CDC’s primary responsibility is to monitor diseases in the USA or that might affect the country, and provide strategies to prevent or reduce those diseases effects. They are famously the nation’s advocate for vaccines – they review new vaccines, and make recommendations on the vaccine schedule for children and adults. They have no actual power to mandate vaccines, but their recommendations are frequently used by state health departments in setting the state’s schedules for vaccines. Although it’s not official yet, President Trump has indicated he will appoint Dr. Brenda Fitzgerald as CDC Director, a position that does not require Senate approval. Dr. Fitzgerald has served as Georgia’s Commissioner of Public Health since 2011, a good role, at the state level, to lead up to the CDC commissioner. Like we did with Dr. Adams, let’s look at the 4 key qualities for a CDC commissioner that might make us worry or not. Dr. Fitzgerald has a respectable background for someone that would lead the CDC. She is an Ob-Gyn with an MD from Emory University. She has a long record of working in public health advocacy for Republican politicians in Georgia. Although she has no formal training in public health, she seems to have gained substantial knowledge over the past couple of decades. Dr. Fitzgerald appears to be a strong advocate of vaccines and vaccinations. In fact, she frequently points to Georgia’s leadership in vaccination rates, which often rank at or near the top of the country. In an op-ed piece published in the Atlanta Journal Constitution, she wrote, “I’ve heard all the arguments against vaccination. 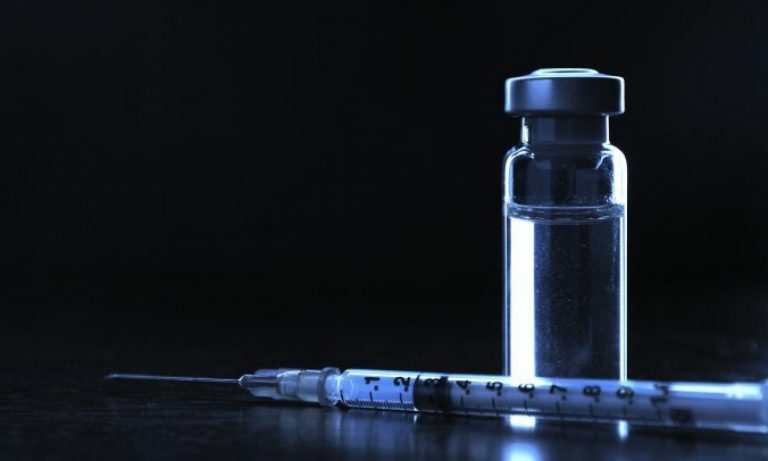 All have been debunked, including the infamous 1980s study in Europe about a similar vaccine for measles, mumps and rubella, and a supposed link – that we now know to be false – to autism, which shattered vaccine use in Europe.”To make matters more interesting, the anti-vaccine forces dislike her intensely, specifically because of her pro-vaccine efforts. Of course, this is solid evidence for supporting her for CDC director, at least with respect to vaccines. There is no evidence that she’s a member of the right wing AAPS through her LinkedIn profile, publications or anything else public. So that’s good. Again, as far as the public record indicates, she does not espouse any overt science denialism in medicine and public health. She strongly pushed for HIV medications to be provided to those who could not afford the drugs, which was ultimately successful. To be clear, Dr. Fitzgerald has not been officially appointed, but she appears to meet all of the standards required by the position. Sure, like I mentioned with Dr. Adams, it would be nice if she pushed gun control as a public health, but such niceties will have to wait until the pendulum swings the other way with American politics. And that she’s hated by the anti-vaccine gang? Hey that’s worth it right there. Right now, we know that Dr. Jerome Adams, whom Trump appointed Surgeon General, is an acceptable choice, ticking off the main boxes that we expect for the nations advocate for public health. We also know that Dr. Brenda Fitzgerald is the leading candidate (if not already appointed) the CDC director. Again, she ticks off the necessary boxes to be in charge of this important federal institution. As far as President Trump’s appointments have gone over the past few months, which can be charitably described as awful, these two physicians aren’t bad, especially if you think both roles should be non-political and focused on the country’s health.